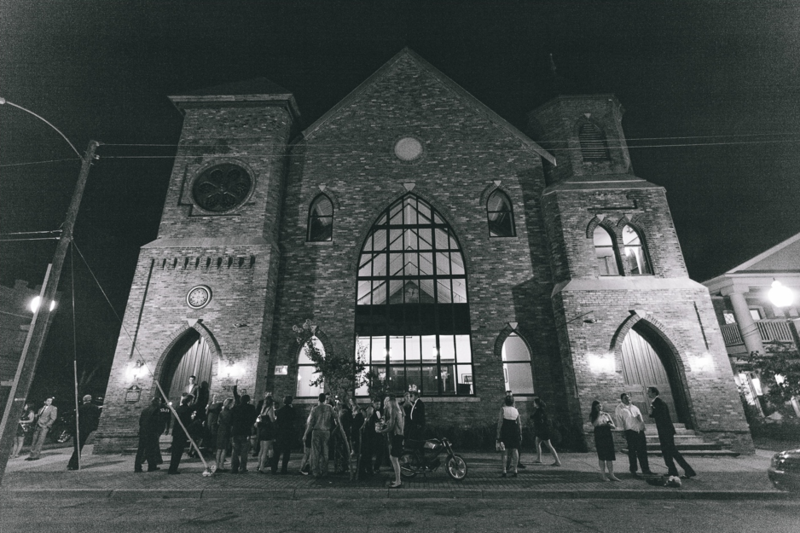 You don't need to confess your sins at this church! 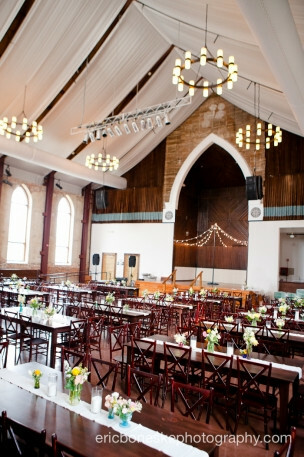 Built in 1888 St. Andrew's Church has been recently restored to the beautiful Brooklyn Arts Center event venue and creative cultural hub of Wilmington, North Carolina. Masters of multi-use, have anything from a wedding to an upscale flea market at this creative masterpiece with soaring ceilings and 125-year-old artwork. 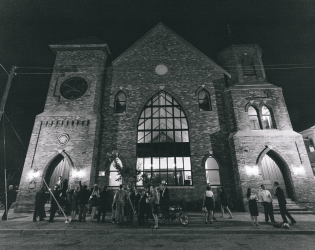 Constructed in 1888, St. Andrews Church was the cultural, spiritual, and social center of Wilmington, NC's, bustling Brooklyn neighborhood for nearly a century. 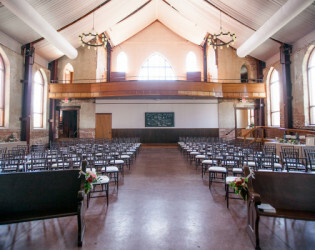 The adjacent, two-story, St. Andrews school building, known now as The Annex, was completed in 1910 in memory of the founding charter members of the original Second Presbyterian Church (circa 1858). 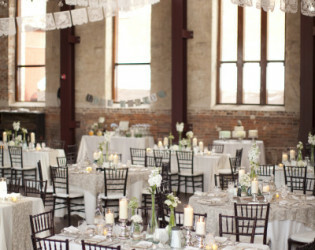 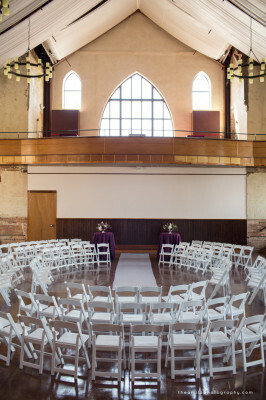 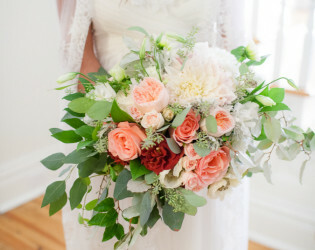 Today, both buildings have been elegantly restored and refurbished as the Brooklyn Arts Center at St. Andrews and, along with the charming church manse and the largest private courtyard in the city, comprise the campus that is Historic Downtown Wilmington's most stunning event venue, the ideal location for any occasion--grand or intimate. The Church, with its soaring, 60-foot cathedral ceilings, original brick and plaster walls, stained glass windows displayed as extraordinary, 127-year-old artwork, exceptional balcony overlooking the expansive sanctuary floor, and state-of-the-art theatrical lighting is a spectacular setting for weddings, concerts, charitable galas, banquets, films, fundraisers, art shows, vintage flea markets, and more. 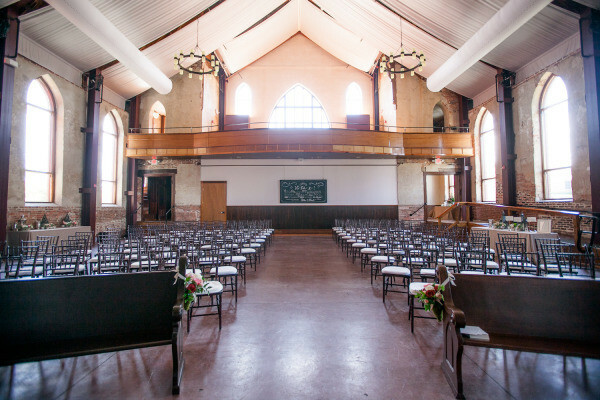 The Annex has 15-foot, beaded tongue and groove, North Carolina heart pine ceilings, original brick and plaster walls and wood floors, oak roll-up walls, and stained glass windows. The first floor includes a beautiful bridal suite and perhaps the coolest cocktail lounge in the Southeast. 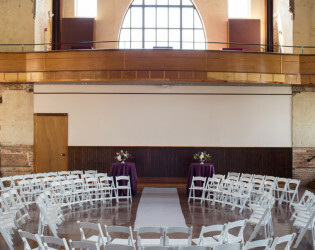 The second floor, the original auditorium, is the perfect romantic setting for smaller, more intimate events. Standing majestically at the corner of Campbell and North 4th streets, the Brooklyn Arts Center is two minutes from the Cape Fear Riverwalk and Historic Downtown Wilmington and 10 minutes from Wrightsville Beach, NC. 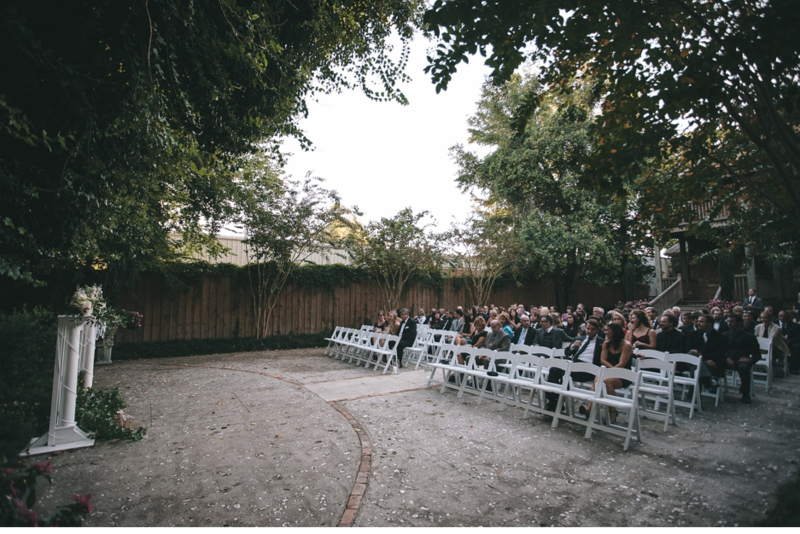 We have a private, 35-car parking lot and there is additional, abundant free parking in our neighborhood on North 4th Street, all within one walking block of the venue. 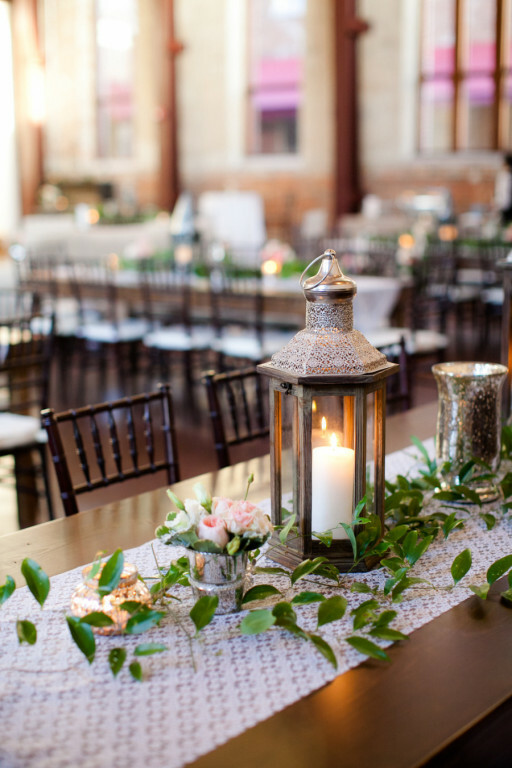 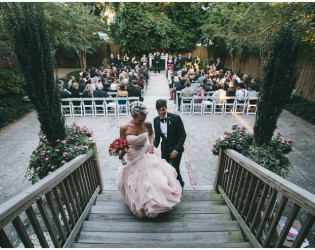 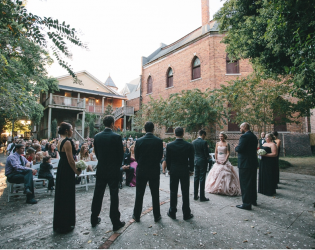 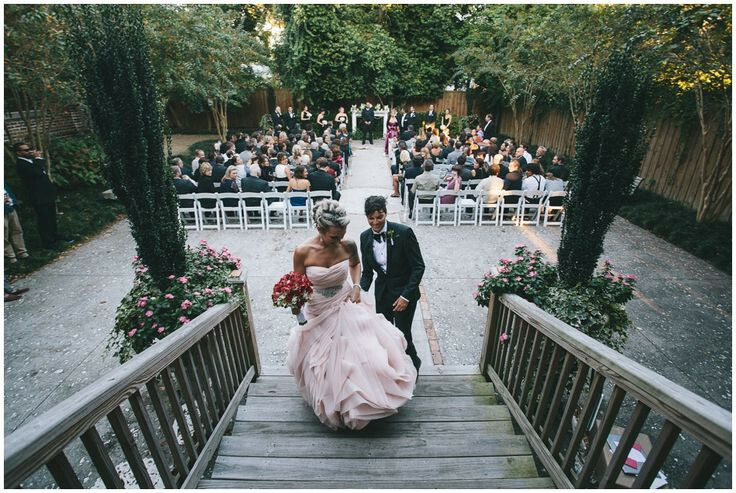 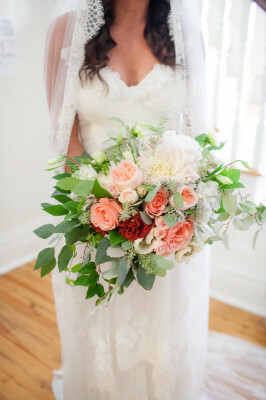 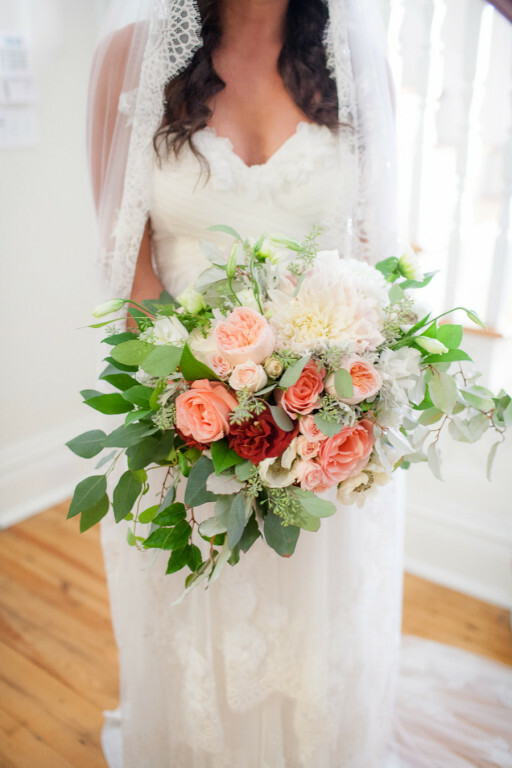 Brooklyn Arts Center at St. Andrews offers its beautiful historic Sanctuary, its large private Courtyard, and its impressive Manse as the ideal location for your wedding, gala, fundraiser, banquet, conference, reunion, concert, and more. 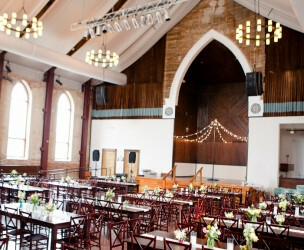 With its soaring, 50-foot cathedral ceilings, original brick and plaster walls, stained glass windows displayed as extraordinary, 125-year-old artwork, and exceptional balcony overlooking the expansive Sanctuary floor, the Brooklyn Arts Center is a spectacular setting for weddings, concerts, charitable galas, banquets, films, fundraisers, art shows, vintage flea markets, and more. 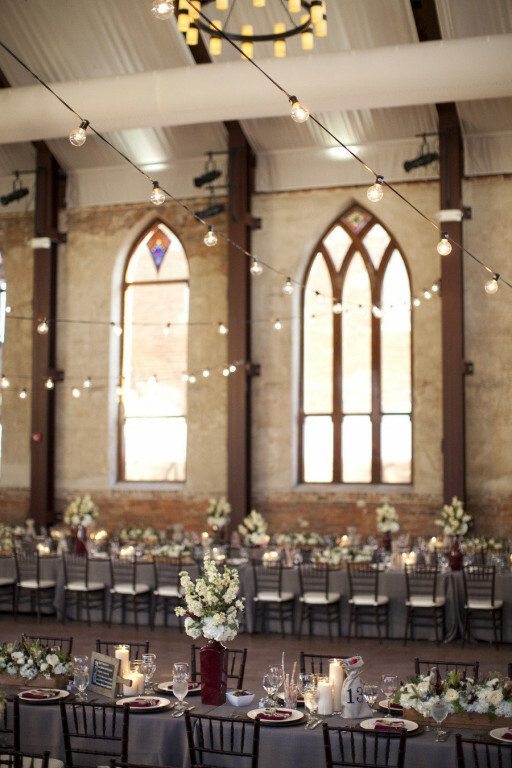 The 50-foot cathedral ceilings are draped with white fabric and backlit by a state-of-the-art, LED lighting system that can turn the entire ceiling whatever color your heart desires. 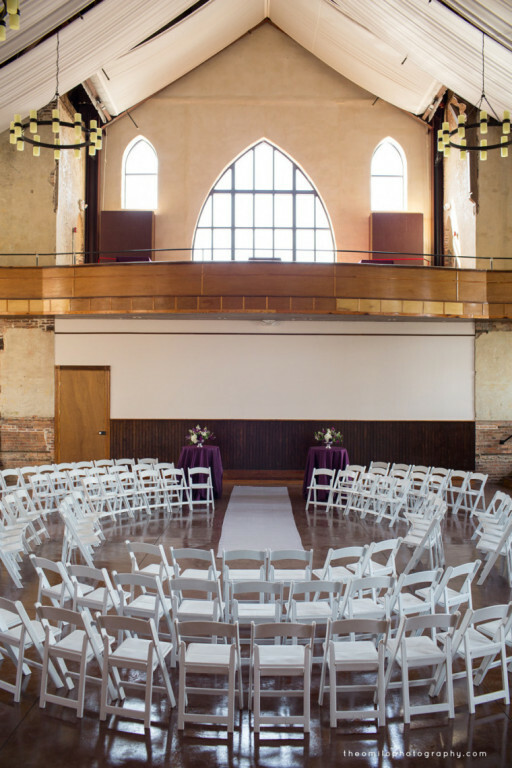 The arched windows are two stories tall, the walls are original brick and plaster, and 125-year-old stained glass is displayed like fine art. The 35-foot, North Carolina-pine altar adds one-of-a-kind beauty, charm, and unmatched drama to the Church. 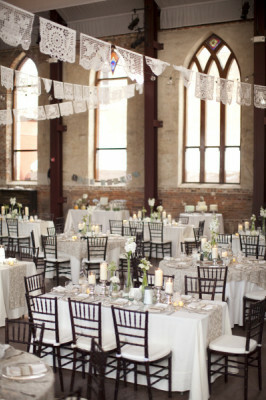 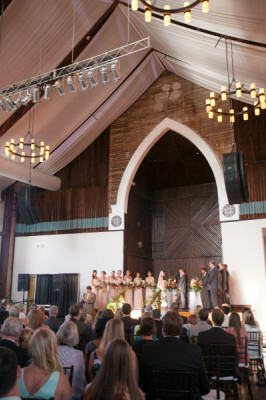 A large stage, dance area, and fabulous balcony complement the altar and provide additional charm and party space. 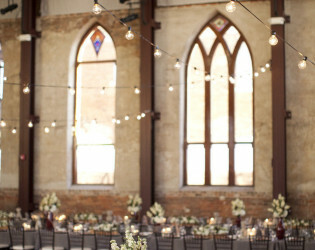 Right next door is the Church Manse, the historic, century-old home of the St. Andrews reverend. 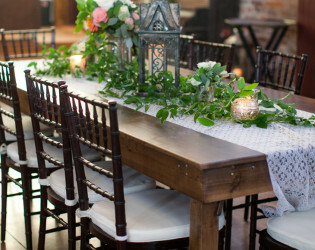 The first floor of the Manse has been designed, decorated, and repurposed as a peaceful retreat and dressing area for the bride, her wedding party, and her family. 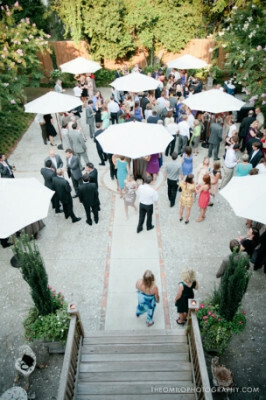 Behind the Manse is our Courtyard, a large, fenced, private garden that can host 250 for a ceremony or cocktail hour. 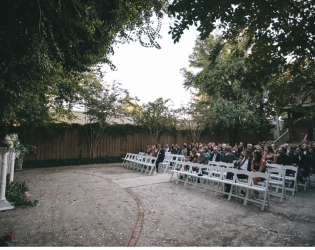 We offer a 30-car parking lot, located across the street from the venue, and there is abundant, additional free parking in our neighborhood on North 4th and Campbell streets, all within one walking block from our campus. Our reasonable rental fee includes the full use of the Church, the Manse, and the Courtyard with no time limit. 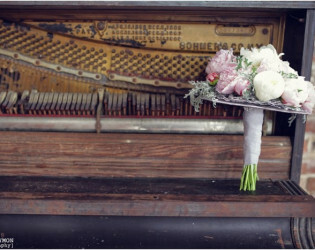 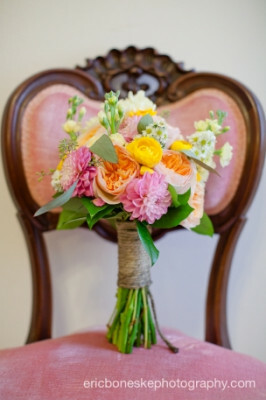 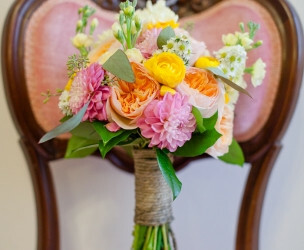 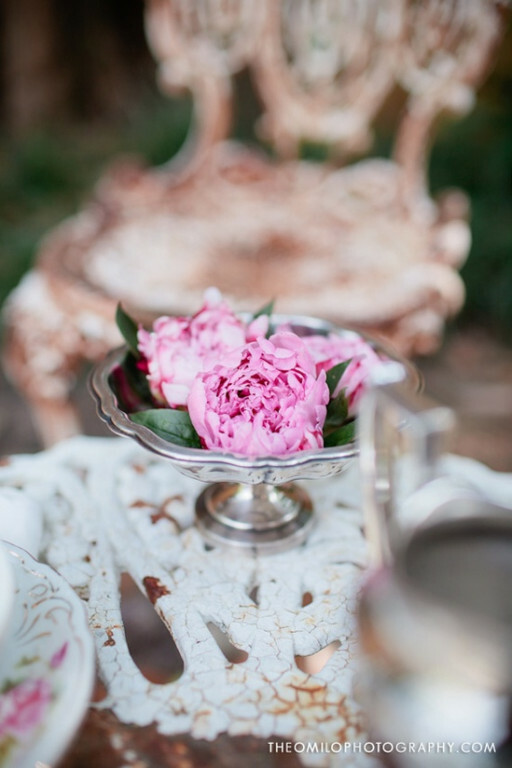 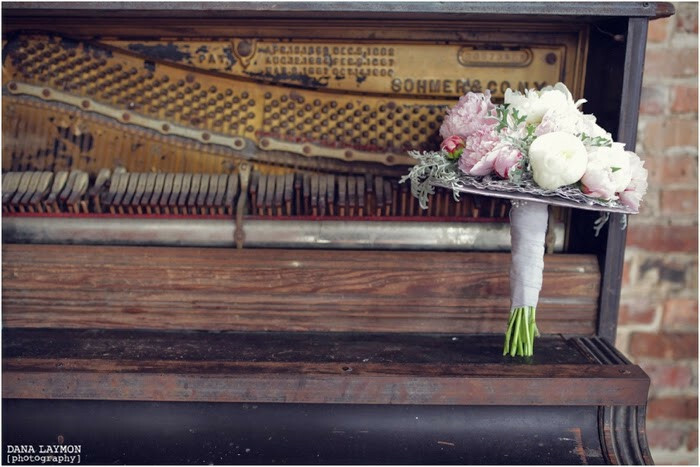 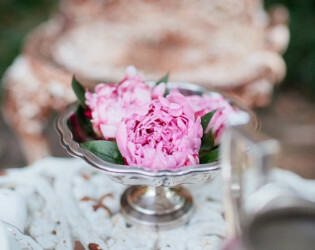 It's your wedding day; the last thing we want is for you to feel hurried. Slow down; enjoy and remember every moment. 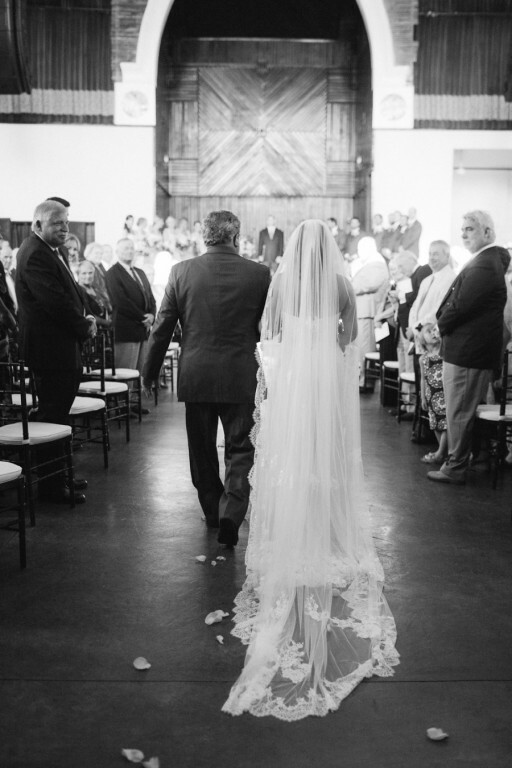 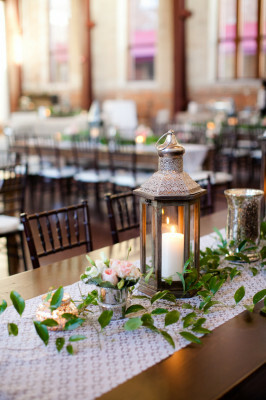 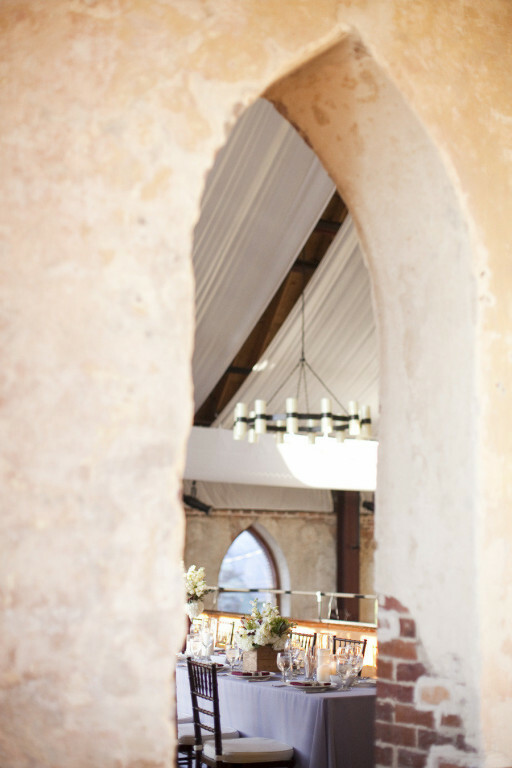 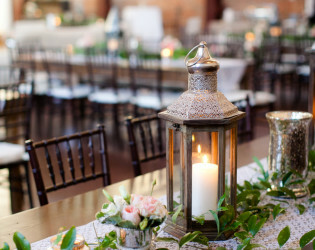 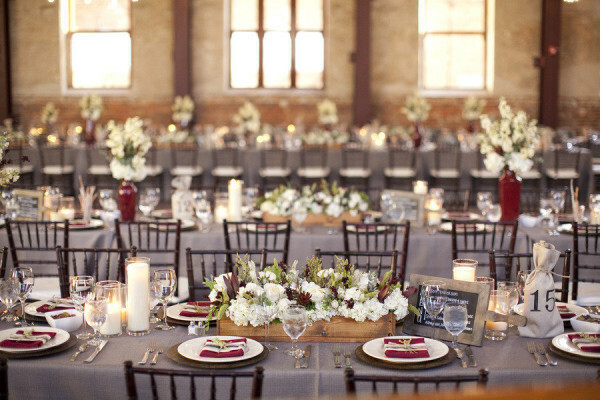 This North Carolina venue was once a historic church. The perfect place for weddings, events, rehearsal dinners, etc. 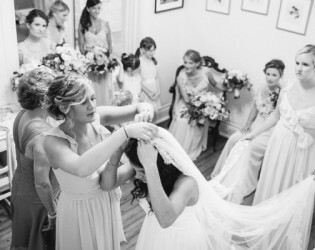 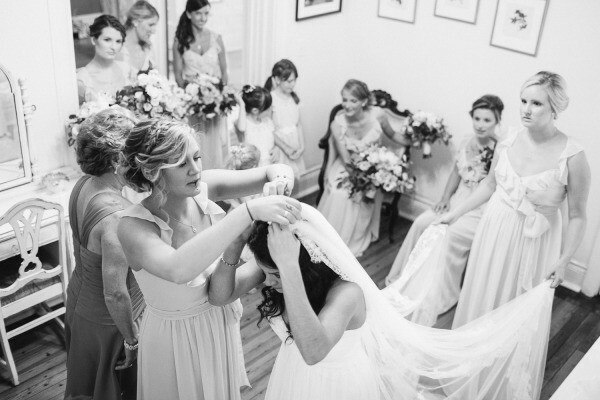 Bridal party getting ready in manse. 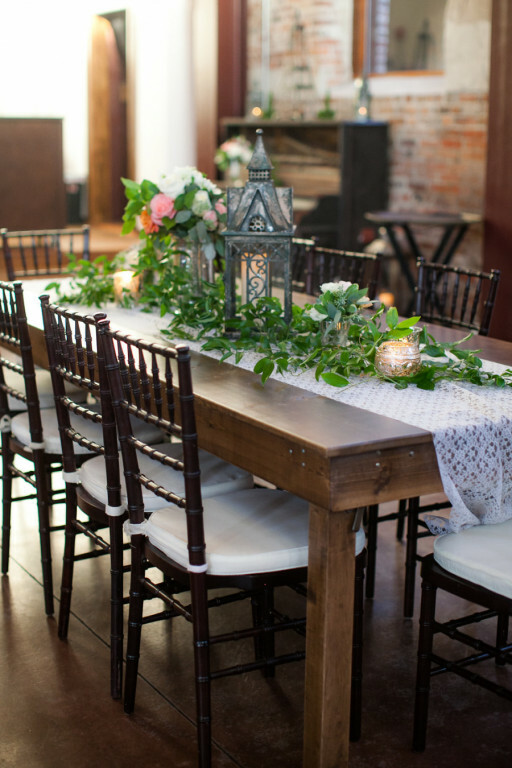 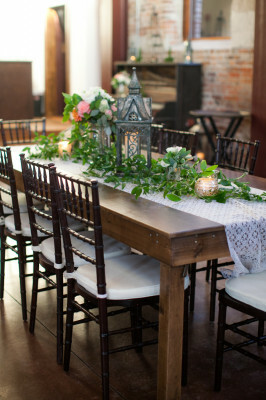 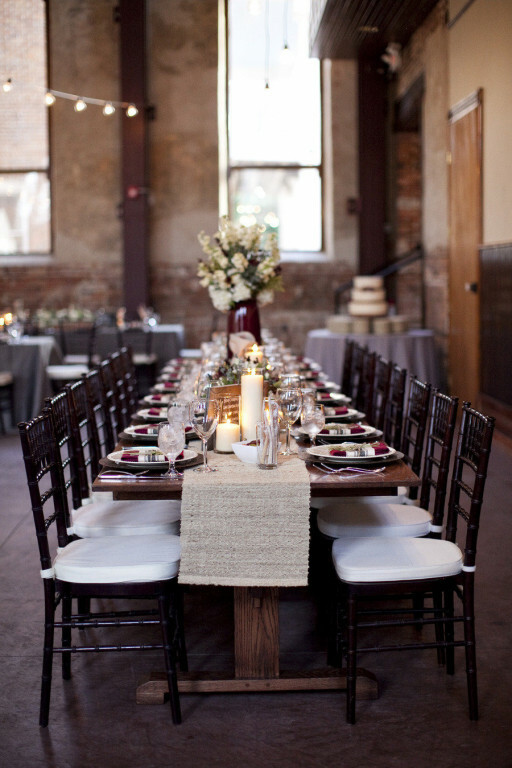 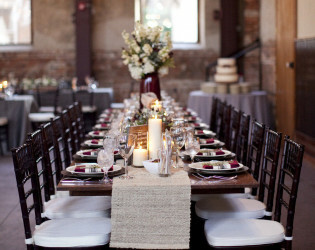 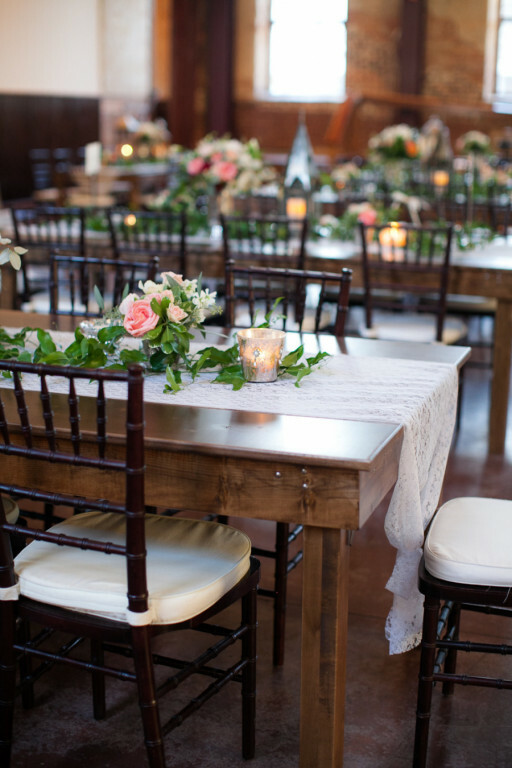 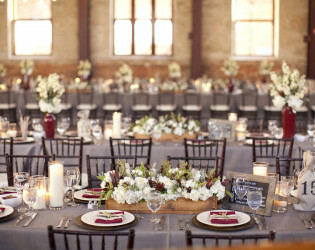 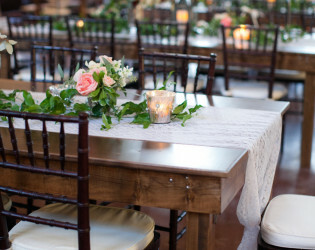 Wedding reception in church with farmhouse tables. Antique garden chairs in courtyard. 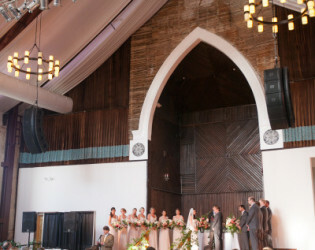 Circular wedding ceremony in church. 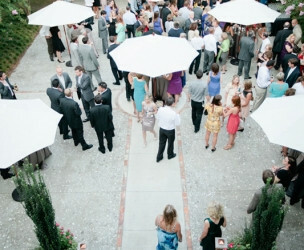 Cocktail hour in the courtyard. 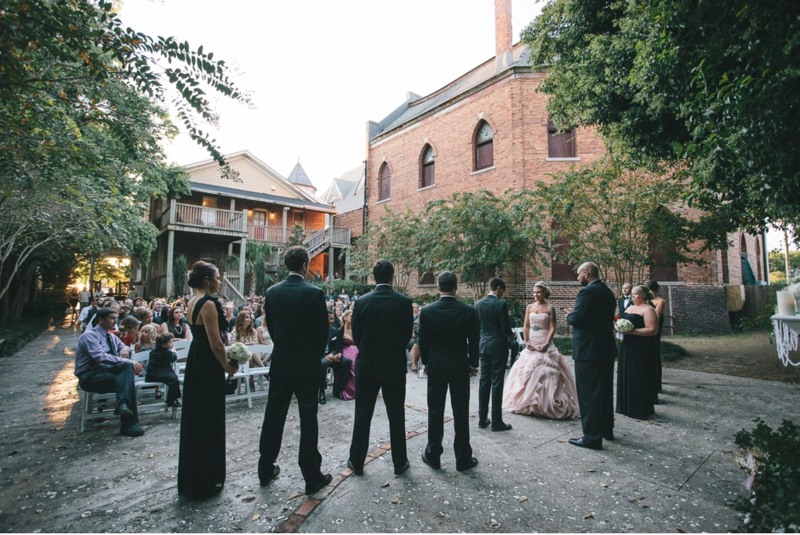 Wedding ceremony in the courtyard venue space.